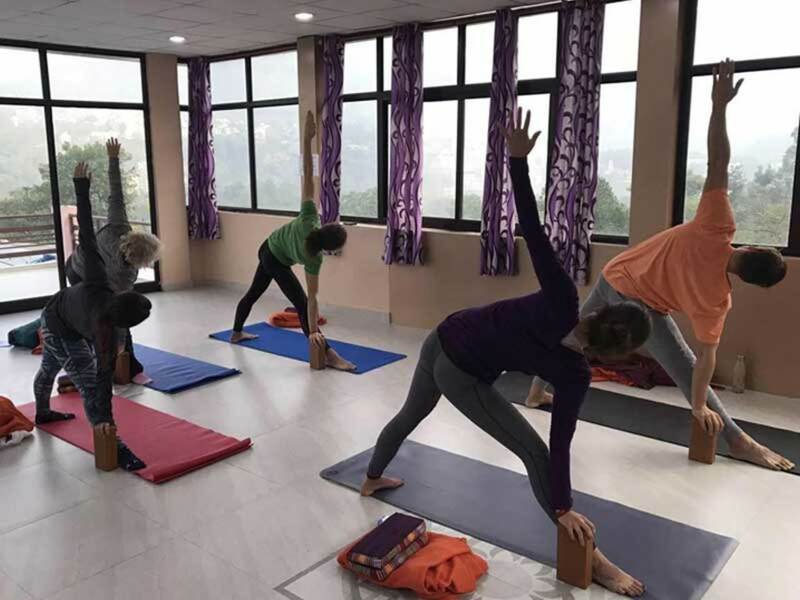 Our 100 hours yoga teacher training is an excellent way to begin your teaching journey, to deepen your self practice or to start learning about this ancient lifestyle. The course is designed to give you the most knowledge possible by the best qualified teachers. All of them are serious yoga practitioners and are passionate about sharing what they know. 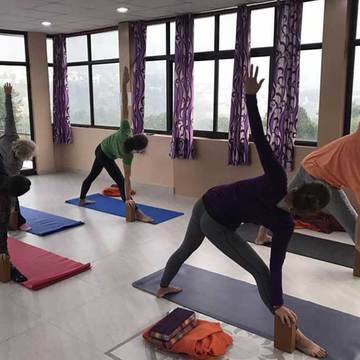 You will learn about yoga asanas (postures), yoga anatomy, yoga philosophy, meditation, pranayama (breathing), kriya (purifying techniques) and mantra chanting. Students will also attend a special class on Ayurveda covering the doshas and the yogic diet. At the beginning and end of the course there will be a fire ceremony with chanting and music so you can experience Indian culture. We offer 12 days of class and one free Sunday. On this free day, students can go rafting, hiking to a waterfall, visit the Kunjapuri temple at sunrise or visit the city market. After completion of the course, students will receive a 100 Hours Yoga Teacher Certification from Om Yoga Academy. However, a 100 hours certificate is not recognized by the Yoga Alliance Association. During the course, students will stay in the school building which is new and clean. Every room has a hot shower and a western toilet. Three fresh vegetarian meals will be served every day. You will also be provided with study material, a school bag and a school t-shirt. Some yoga mats are available at the school, but we suggest that you bring your own. It is better for everyone to have their own mat.